A little while ago, I wrote about how I wanted to start talking more about environmental topics on my blog; giving you simple, no jargon information on current issues affecting our planet. This would become a series of blogposts called the Green Series. I’m not trying to be all high and mighty here, nor preach anything that you might not agree with. I simply want to inform you of some current issues that are affecting our planet, and let you make your own judgement on whether you agree or disagree; whether they make you feel passionate enough to want to stand up and take action. That’s what this did for me. Today in the series, I’m going to talk about fracking. A recent anti-fracking demonstration resulted in three men being sent to jail for stopping trucks in peaceful protest - the first time environmental campaigners have been given a prison sentence since 1932! This undoubtedly sparked controversy and protest, until the three jailed protesters were set free after their sentences were ruled “manifestly excessive.” And all environmentalists could breathe a sigh of relief, all is not lost. Yet. This will likely be the first of many. 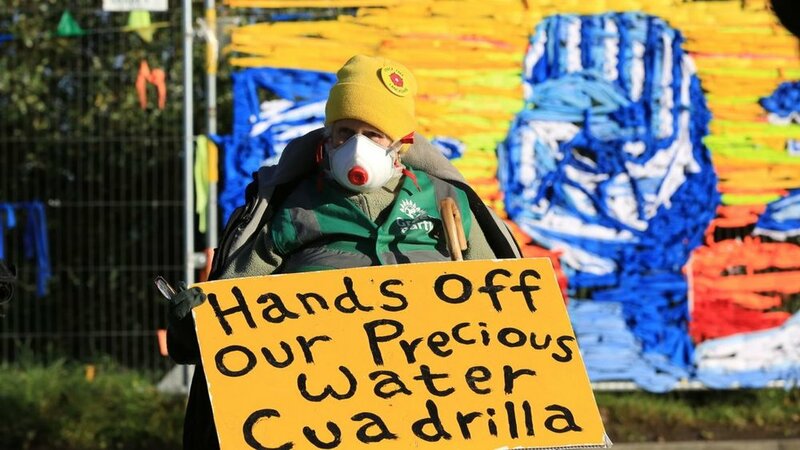 However despite protests, earthquakes and the recent IPCC report which revealed that we have only 12 years to limit the effects of climate change (more on that soon), on Wednesday 17th October 2018 fracking started taking place in Lancashire. In fact, 17,000 sq km of England is covered by oil and gas exploration licenses, so this is likely to be the first of many fracking locations. Petitions, demonstrations and protest will inevitably follow, so I want to explain what fracking is all about so you too can get behind the campaigns. ‘Fracking’ is short for hydraulic fracturing and refers to the technique of extracting gas or oil out of rock in order to make energy. To do this, a mixture of chemicals, water and sand are pumped down a well and into the rock at a very high pressure. The rock then fractures when the pressure is released, and natural gas or oil flows back up the well. That gas or oil is used to create energy: to light our homes when we leave the switches on all day; to cook our beans and burn our toast; to charge our phones for the twenty-fifth time (thanks Apple); and to do all those other things we have become reliant on in the 21st century. BUT, is this really the way we want to be getting our energy? There are a number of reasons why fracking is a controversial technique. Fracking contains a number of risks which have become apparent since it started taking place in the UK in the early 1980s. You can read more about the risks here, but I’ll highlight a few of the main issues below. Water contamination - environmentalists have warned of potential carcinogenic chemicals which may escape and contaminate groundwater around the fracking site. In the UK, groundwater is used to supply a third of our drinking water, meaning we could all end up drinking contaminated water. Find out more here. Earth tremors - fracking was halted in 2011 when small earthquakes of 1.4 and 2.2 magnitude were detected in Blackpool. A study found that it was “highly probable” that the tremors were the result of drilling for fracking. Starting fracking again puts a new risk of earthquakes back into the lives of local communities. Local environment - fracking is likely to change the local environment around sites, clearing space for wells and drilling and causing more industrialisation in beautiful, natural areas. Everyone who spends time outdoors - climbing, hiking, mountain-biking, dog-walking - is likely to be affected in some way or another by fracking. The government has even allowed fracking in National Parks (1200m below) and Areas of Outstanding Beauty. Not renewable energy - after the recent IPCC report warned that we only have 12 years to save our planet, extracting more fossil fuels from the ground won’t help keep the planet below the agreed minimum of 1.5 degrees of global warming. Fracking will discourage energy companies and governments from investing in renewable energy sources. Why are we putting more efforts and energies into fossil fuels for a short-term goal, when the long-term risk will be catastrophic? Despite all these risks, UK energy minister, Claire Perry, sneaked a permission through parliament to allow fracking. She claims that it will help the country transition to a “lower-carbon economy”, despite the fact that shale gas has worse emissions than burning coal. Read more on The Guardian here. What’s going on in the UK? For me, the environmental crisis directly contradicts that fracking should begin in the UK. Governments should be doing everything they can to reduce our reliance on fossil fuels instead of encouraging exploration into a whole new realm of them. It’s actually quite scary that this is now happening just up the road from where I live, and could easily start taking place in any small village, town or green space, anywhere in the country. I find it sickening that energy companies and the government seem to be more concerned with making money than the threat to public health and the planet. Thankfully Wales, Scotland and Ireland have the sense to see the risks of fracking as outweighing its benefits, for some reason England doesn’t seem to care about those risks. This video is just one example of an outdoors person joining the anti-fracking campaign. Top climber, Peter Whittaker, talks about fracking near his local crag. Read more on Grough here. The fact that fracking was stalled for 6 years in the UK is a clear sign that protests, petitions, and pressure from citizens DOES make a difference. 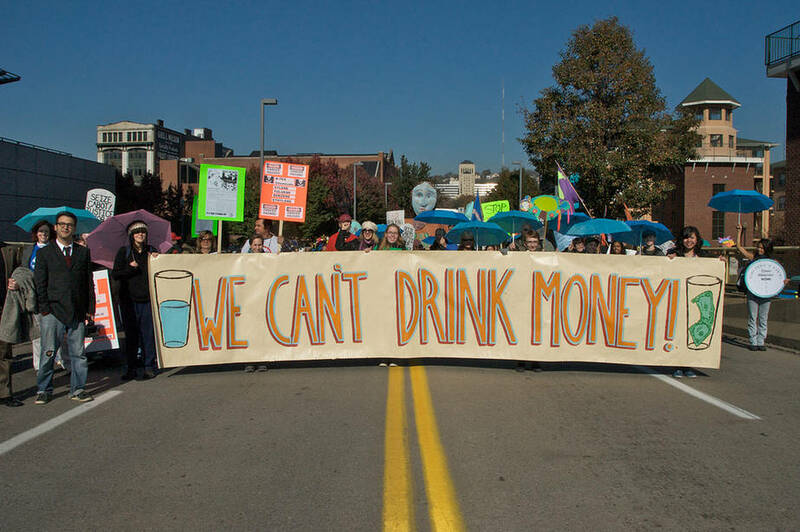 What we can keep doing is pressurising the government to halt fracking, through peaceful demonstrations, signing petitions, and spreading awareness. The easiest thing you can do right now - in about 2 minutes - is sign this petition from Friends of the Earth. The next thing you can do is share the petition, and this blogpost if you like! If you’re really passionate, you could look into joining a local group and join in on any events they’re hosting. I’d also suggest switching to a energy company that uses only renewable energy, to ensure your power isn’t coming from fracking sites. The more people do this, the less energy companies will invest in fracking. A couple of good British renewable companies are Ecotricity and Good Energy. Any other ideas? Leave a comment and let me know! I think fracking is something we’ll be hearing a lot more about in coming months, and hopefully we might even be able to do something to stop it. I feel positive about the effect of local and national pressure on the government. Fracking is just one example of issues we can all get behind to help the planet. More to come!